Electronic trio Sunsquabi kicked off their Instinct tour on 10/4 where they will showcase their new music. On 10/6 they took the stage at Concord Music Hall in Chicago alongside The Russ Liquid Test as part of The Big Weekend. We were lucky enough to sit down with the trio to discuss their tour, album and the future. So you guys kicked off the tour for your upcoming album on Thursday, what can we expect from you guys on this tour? This was the kick off weekend for the next couple of weeks. We just played two shows in Kansas City and Madison with Umphreys McGee. Next week we’ll be getting on the bus and right now were just making sure everything is dialed since were doing this tour on such a professional level. We just finished a 10 track album called Instinct and we’ll be playing some new music tonight and on the rest of the tour. After 2 awesome EP’s, what can we look forward to on your upcoming album? Experimental? Collaborations? We’ve been trying a lot of new things with the album. We’ve been jamming a lot more lately than we normally have been. We’re adding a lot more improv to the set as well as playing the new album. We featured a lot of artists on the new album such as Chris Karns (Pretty Lights Live), Jason Hann (The String Cheese Incident, EOTO), and David Irvine (The Motet). We really wanted to incorporate as many artists into the new record. How did you produce this album? How does a typical Sunsquabi track come alive? Each one has its own process and the way it develops. Three or four songs on the new album came from live recordings of our shows where we took some of our improv and refined it into a song. This album also features more life recording than in the past. Then there’s other songs where we write a beat and the three of us will come up with the rest of the song and a couple hours later it’s all filled out and a totally different song. Tonight’s show was announced a while back as part of “The Big Weekend,” what’s it like headlining a show during this event alongside names like Umphrey’s McGee and Lettuce? It’s really their [Umphreys McGee] weekend. It’s been a minute since they’ve played a big show in Chicago and they’re amazing. They are at such a high level and being around them so much inspired us and other people to keep creating new music. 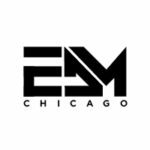 It’s awesome to be apart of this where people are playing all over town at different venues and Chicago is the perfect city for that to happen. Looking forward, you guys are one the bill at Suwannee Hulaween. Have you played at Suwannee before? Are you guys looking forward to playing at such a great venue on such an impressive lineup. We played there two years ago in 2016 and it’s really an amazing place to play and we’re so excited to be back there. This year especially will be awesome since we get to stay there for a day after our set on Saturday. Who knows what will happen, We’ll probably end up playing a little more here and there. If you got to setup the perfect show where would it be and what would it be like? Red Rocks. Thats the place where we do that. It’s probably the best place in the world to play music. We like to do shows where we play two or even three sets and get to play longer which lets us have our friends and other artists up there with us sharing that moment with us. Thank you to Sunsquabi for taking the time to sit down with EDM Chicago! We wish the three of you the best of luck on your tour and can’t wait to see where this tour takes you!